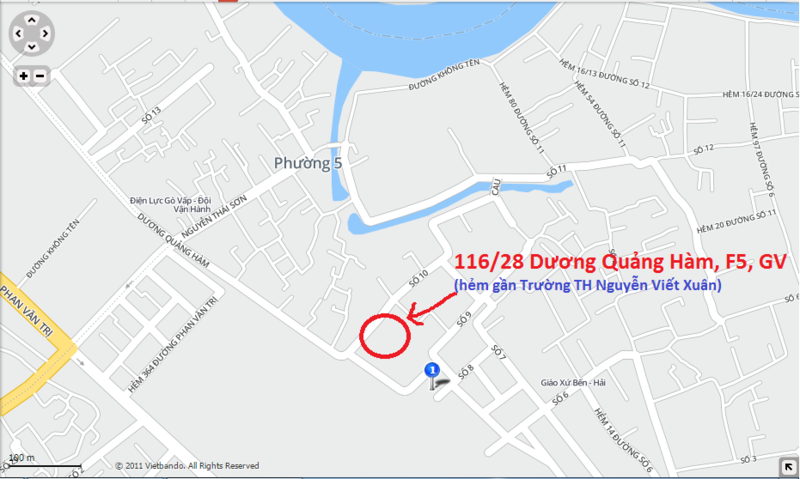 Bán laptop dell latitude e6420 atg quân đội - dell e6420 atg i7-2620M, ram 4g, hdd 250g, vga onboard - dell e6420 atg giá 4.5 triệu. BH 3 tháng. 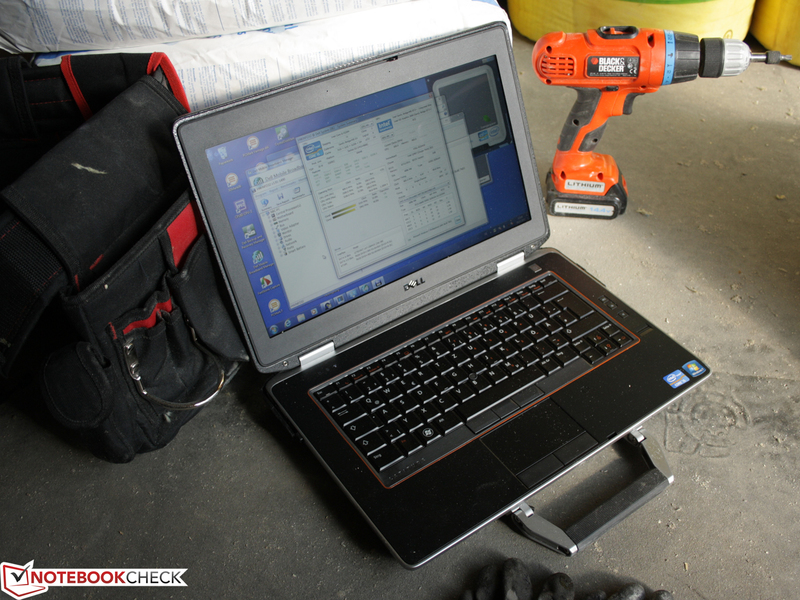 No matter if at the office, on the construction site or in the pickup, a Latitude ATG should be able to deal with difficult work environments. The time has come for the Latitude ATG when Acer”s Travelmate suffers from scratched paint and sand trickles out of HP”s EliteBook. The manufacturing, in compliance with the military standard 810G, and the high weight not only look impressive. The 3.6 kilograms are heavy in the (included) case. However, the latter could be omitted because the steel hinges and powder-coated bottom (magnesium) make the case (almost) unnecessary. We often describe the stability and resistance of a device with praising or carefully chosen words in our notebook reviews. There”s hardly a laptop that is rated as absolutely insufficient. This is because the cases manufactured in the few factories have strongly closed in on one another in terms of quality. The rating of approximately 80% (average good) for workmanship is therefore the rule. The ATG not only goes one step further regarding material and stiffness, it represents the upper range among the "standard" notebooks. The manufacturer uses the term "semi-ruggedized" for a normal Latitude case that has been supplied with rubber edges and a stiff aluminum lid. The normal E6420 already got a rating of 96% for its workmanship, so what could have been improved now? The rigid base unit of the normal E6420 has been maintained; all ports remain in place. The thick rubber coating at the rear corners is fastened with screws and can be removed easily. The bulky handle is fastened very tightly to the base unit. It doesn”t twist even the slightest bit and seems to be fastened absolutely securely. 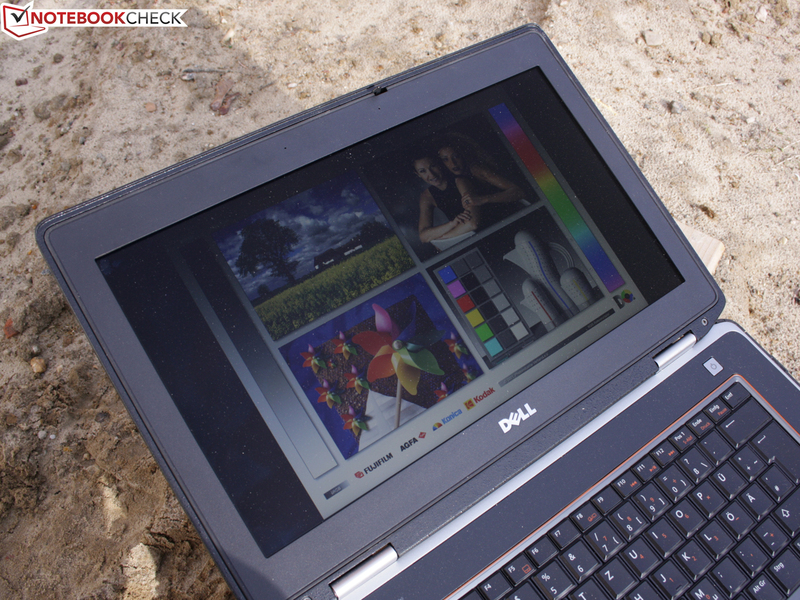 Comparable ruggedized laptops from the competition aren”t inevitably quite that heavy. For example, Panasonic has always followed the strategy of using very light materials and accepts warping for its Toughbooks (e. g. CF-53). The devices are constructed so that they warp but not break under pressure. Dell doesn”t have this kind of crumple zone. In return, the perceived and real robustness are perfectly in line. 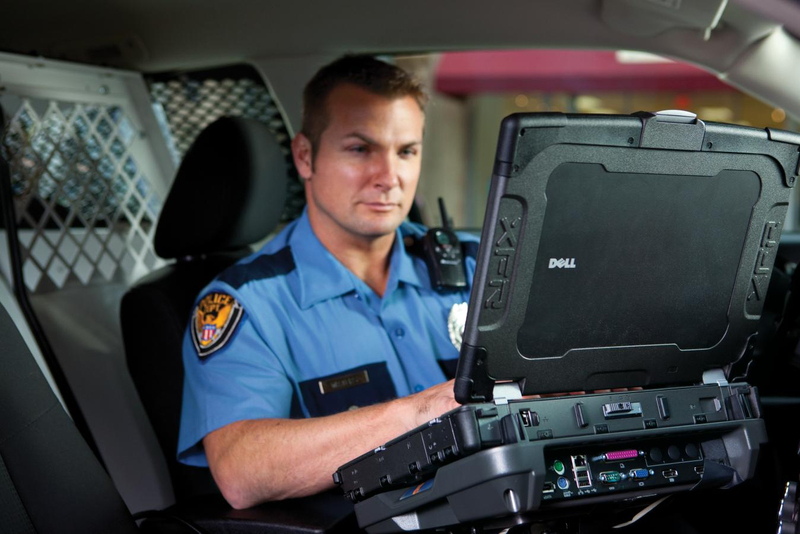 By the way, Dell has the Latitude XFR Rugged laptop for tough guys in its range (military grade components). See the E6400 XFR (reviewed 2009). It”s not a modified, but a stand-alone case. 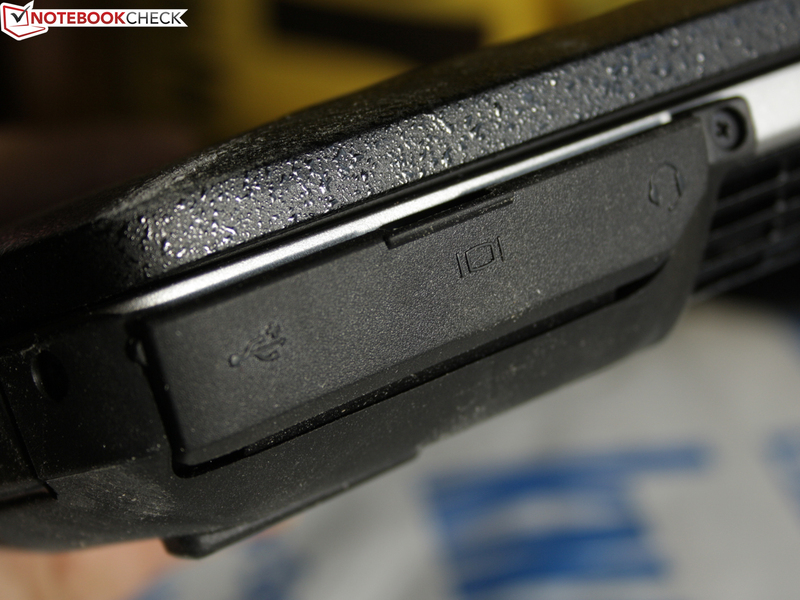 Here, all corners are shock-proof; the device survives drops and the ports are kept free of dust. ATG users don”t necessarily have to be construction managers, architects or civil engineering experts. 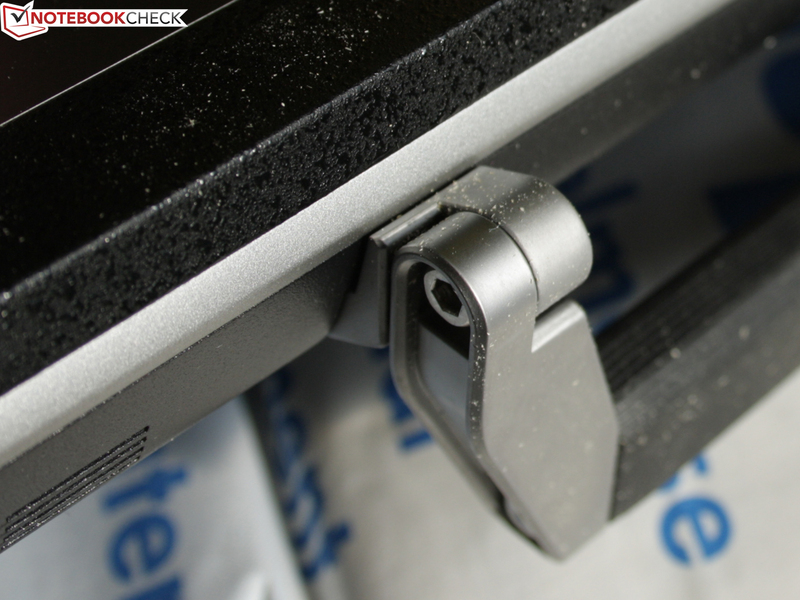 We can very well imagine the ATG for people who don”t always want to treat a laptop quite as cautiously and carefully. A case isn”t an absolute must for the ATG. The device will survive all of that without taking internal damage. Nevertheless, we wouldn”t let the ATG fall from a table and we wouldn”t expose the chassis to humidity or wetness either. 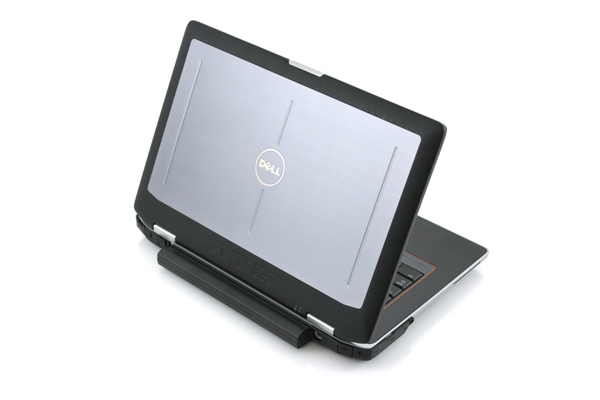 It is really just that what Dell sells it as: A standard Latitude for rough but not harsh or even extreme handling. The interfaces, including the docking option on the bottom, are the same as the ones in the basic Latitude E6420 model, which we also had in for review. The positioning of a few interfaces on the rear still appeals to us. Fewer cables obstruct the working area because of that. The lack of a USB 3.0 port, which isn”t even installed in the docking station, isn”t as agreeable in our opinion. Buyers have to either additionally purchase a USB 3.0 module for the optical drive (MultiBay) or insert a plug-in card in the ExpressCard 54 slot (starts at EUR 30). The omitted DisplayPort is too bad. The video signal can only be transmitted via analog VGA or HDMI. A solution for this would be a HDMI to DisplayPort adapter. A small detail is important for multi-monitor users here: HDMI 1.3 (rather than 1.4) for example doesn”t support Matrox”s DualHead2Go (2 TFTs on one HDMI) and the maximum resolution of 2560 x 1600 is only available at a color depth of 30bits. 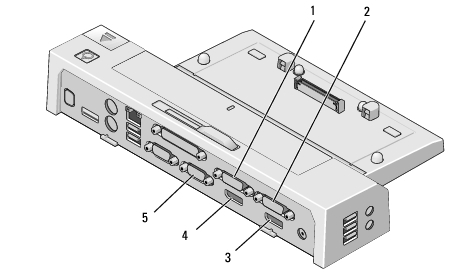 According to Dell, the matter of ports isn”t very important because most customers connect one or more TFTs via the E-Port Plus Docking (2x DVI, 2x DisplayPort). Up to two 30 inch screens with 2560 x 1600 pixels can be controlled when the DisplayPort is used. Because passwords are reluctantly entered with grimy hands, our ATG has three options to specify authorization. The Smart Card reader (flat, left) is used in big IT infrastructures. It is even easier with the contactless Smart Cards which Dell has in its range since the E family, E6400. It enables a pre-boot authentication. The Smart Card doesn”t even have come in contact with the device for this. A distance of ten to twenty centimeters is enough. The fingerprint reader is the third option (optional, surcharge: EUR 24). The fingerprints are stored via Dell”s Data Protection Tool and replaces annoying password inputting hereafter. As appropriate for a business machine, the BIOS bids the most various options concerning hardware and security. Additionally, the BIOS can be conveniently used via touchpad/trackpoint. We can”t go into detail here, but the settings are more far-reaching than those of a consumer laptop. We know similarly extensive BIOS settings from HP”s EliteBooks. 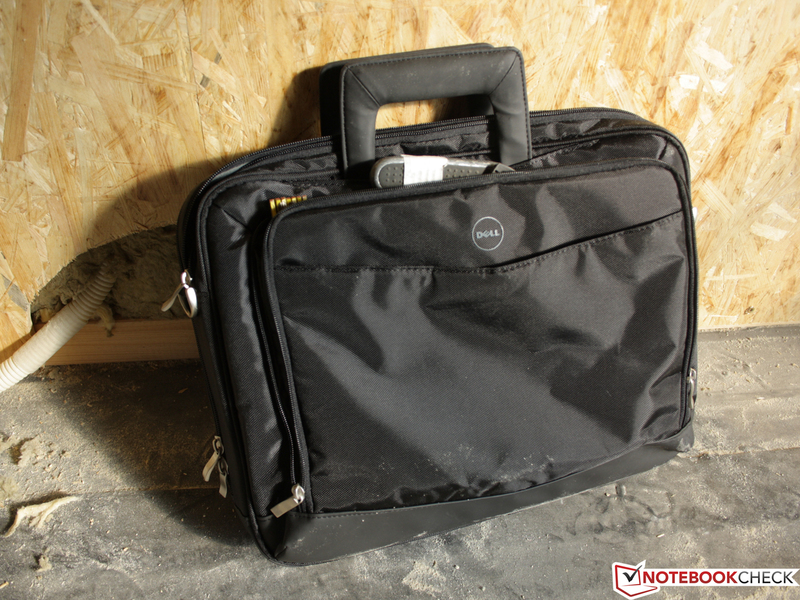 Dell included the 16" Dell Professional Business case in our box (surcharge: EUR 51). A docking station is the option of choice for the ATG because nobody will find pleasure in permanently "heaving" three kilograms on and off of the desk. The E-Port and E-Port Plus are connected to the device via a hot plug. Consequently, docking and undocking on the fly isn”t a problem. The E-Port Plus price starts at around EUR 170. Not exactly cheap, but professional users will know to appreciate rare ports, such as serial - RS-232 (D-Sub, 9-pin) or parallel (D-Sub, 25-pin). Even the good old PS/2 keyboard or mouse can also be fetched from the attic. The anti-glare screen (model: Samsung LTN156AT02P01, 140AT DELL P/N: X7JCD) has a resolution of 1366 x 768 pixels. Dell only offers the HD high gloss screen with the same resolution, but single touch function as an option. The manufacturer intentionally doesn”t offer a WXGA++ option: A 1600 x 900 pixel screen doesn”t exist with the desired high luminosity. 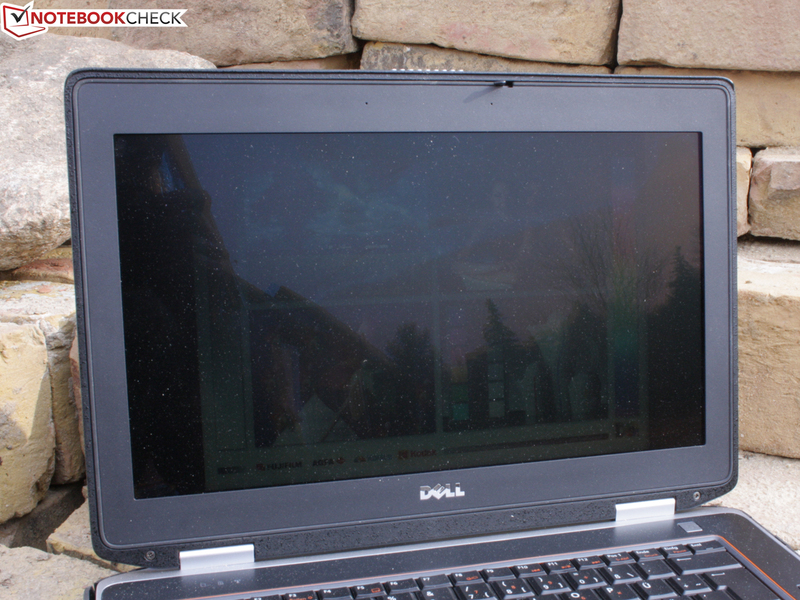 Moreover, such a screen is hardly ever requested by customers, according to Dell. 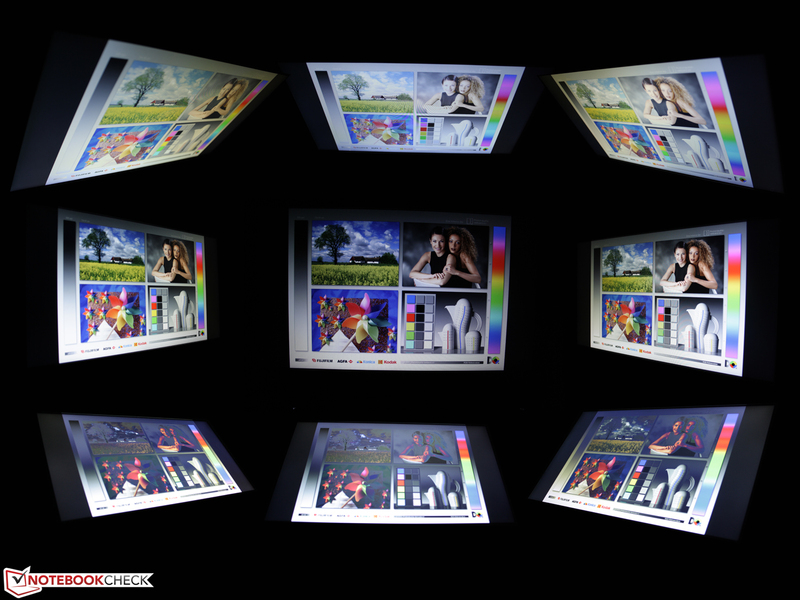 The screen can”t render magnificent colors with a black value of 1.44 cd/m2. 557:1 isn”t a weak rate though. The reason: The contrast is the result of average brightness ÷ black value = 557. The reproducible color spectrum is limited though. That”s not a problem for the HD screen because programmers or CAD designers won”t choose it due to the low resolution anyway. 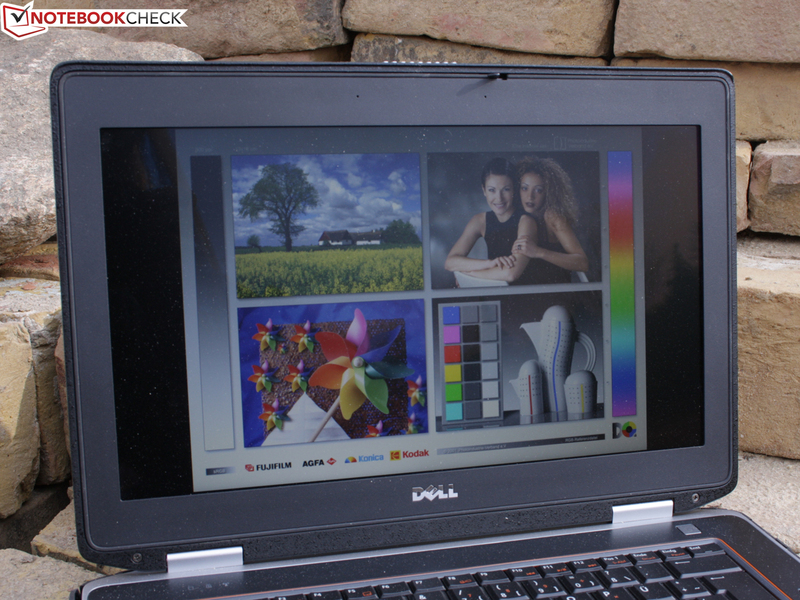 Dell shows what a large color spectrum should look like with its Latitude E6520 and Precision M6600. The viewing angles didn”t disappoint us. The viewer can deviate to the far right or left horizontally and no ghosting appears. Pictures suffer from a yellow cast beginning at 45 degrees, but it remains well visible up to 85 degrees. However, we see the typical notebook inversions that start at 20 degrees vertically. The options at Dell range from a Core i5, as in the test device, up to a Core i7 2640M (2.8 GHz) and from 250 / 320 / 750 GB hard disks up to 128 / 256 GB SSDs. The surcharge for the 256 GB SSD in the test device is EUR 339. The processor graphics can be complemented by an NVIDIA NVS 4200M for an extra charge. In these cases, Nvidia”s Optimus technology would take care of automatic switching (+ EUR 80). The Core i5 2520M has a nominal clock of 2.5 GHz, but can be clocked up to 3.2 GHz and higher via Turbo 2.0 depending on the cooling. We criticized the E6420-test device with Nvidia”s NVS 4200M in this regard because the 35 watt GPU reached up to 99°C thermally. This can”t happen again since only the processor integrated Intel HD 3000 Graphics is in the ATG. However, the NVS 4200M can also be configured here. In the energy settings, Dell has the setting "Ultra Performance" that claims to "reduce CPU throttling" and "increase fan speeds". However, the performed benchmark tests didn”t record any significantly different results when we compared them to the default setting "High Performance". But a performance difference was seen in the modes "cold" and "silent". The frequency is limited to 1.8 GHz here. Nevertheless, Cinebench R11.5 finishes with almost the same score: 2.84 points. In contrast to that, the single core test Super Pi needs approximately 1/3 longer (2m test 49 rather than 29 seconds). The standard Latitude E6420 was equipped with a 7200 rpm hard disk and a Core i3 2310M (2.1 GHz). Now a stronger Core i5 calculates in the chassis and an SSD from LiteOn LAT-256M2S) replaces the spinning colleague. That not only reduces the 14 incher”s noise but also increases the total performance by approximately 40%. The Core i5 that is now installed naturally also contributes to that. We record the performance with PCMark Vantage (score: 11,900 points) and PCMark 7 (score: 3,814 points). The standard Latitude only achieves 5,534 points (-45%) in the first system benchmark. Approximately 210 GB of memory are left on the 256 GB LiteOn SSD after Windows and Dell”s software is installed. Depending on the benchmark, the data carrier has a very good read rate of 288, 350 or 417 MB/s (HD-Tune/Crystal DiskMark/AS-SSD). There are major differences in the SSDs regarding the read and write speeds of bigger and smaller files. When compared, the installed LiteOn model definitely belongs to the faster SSDs, particularly when larger files are read out. PCMark Vantage acknowledges that with a strong HDD sub-score of 32,147 points. The E6420 equipped with an HDD only manages 3,178 points in this benchmark (10%). If you are looking for a quiet work device, you are dead right with the Latitude. The fan doesn”t emit a sound in the office or when used on the go with short load periods and a lot of idling. The notebook is absolutely mute due to the silent SSD here. The fan”s first level turns up to 35 dB (A) and remains at this speed. It doesn”t matter if we perform a CPU benchmark or copy files. Since the fan doesn”t intermittently change its speed, the Latitude ATG makes a very balanced impression. The ATG with its i5 2520M (2.5 GHz) ran through the stress test without problems. For one thing, we ascertained that the processor benchmarks are above average (see Performance/Processor). For another, the tools record a clock of 2.5 GHz during multi core load. Thus, we don”t have to speak of throttling because it doesn”t drop below the base clock. A third indicator for constant high performance without throttling is the homogeneous power consumption during the stress test. The sound check shows that the broken speaker of the standard E6420 was an individual case. Both speakers are audible and emit a loud and undistorted, even if monotone sound. The speakers at the front don”t have any basses. The output is rendered over a single headphone and microphone combo jack. Three hardware buttons beside the keyboard facilitate muting the sound and there”s no need to search for the corresponding function key. The battery runtime of 6:30 hours in the wifi test is impressive especially since we are only dealing with the standard battery (60 Wh, 6 cells). The screen”s brightness was dimmed to 150 cd/m2 during the test, so considerably lower than the maximum 763 cd/m2. We assume that the highest brightness setting would reduce the ATG”s runtime by about an hour because the LED backlight is a big power consumer next to the CPU. If you want even more, you can opt for Dell”s MultiBay battery (4 cells, 48 Wh), which can be inserted into the shaft instead of the DVD drive (EUR 125). The 6 cell main battery can also be replaced by a 9 cell battery (97 Wh). 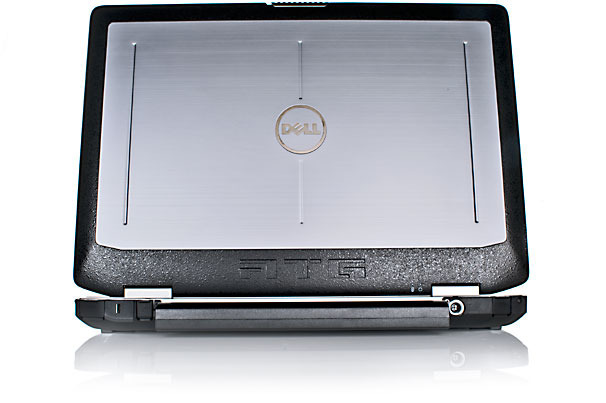 The Dell Latitude E6420 with the tag ATG supplies additional portability (handle) and ruggedness (ballistic armor). That will appeal to everyone who doesn”t exactly treat his/her device with kid gloves, or people who use their laptop remote from cushioned business lounges. The ATG is an alternative particularly for use outdoors in the sun. The screen”s brightness sets a new record with a large gap: 763 cd/m2. A loyal companion with high reliability is created in combination with the shock-proof SSD and prolific typist-suitable input devices. If you have reasons for a semi-ruggedized notebook, you luckily don”t have to choose from hundreds of models. In addition to Panasonic (Toughbook C1), only Getac (S400) and Wortmann (TERRA Mobile INDUSTRY 1280) offer corresponding devices. However, there are other niche players.